Washoku literally means 'food of Japan', covering all traditional Japanese cuisine, from sushi, sashimi to teppenyaki and yakitori. The focus is on fresh, seasonal ingredients (sometimes raw), sometimes rare but mostly accessible even in our western supermarkets. It's most definitely a user-friendly cuisine, using cross-over ingredients from our own gardens (well, the fresh vegetable aisle) and the freshest fish or meat you can get hold of. Fish in Japan holds a god-like status, so only the freshest and the best will do. 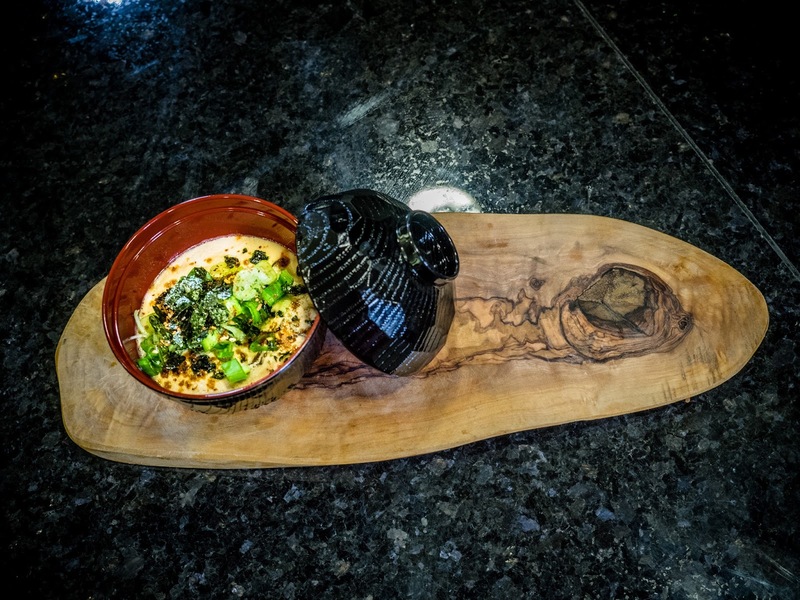 Washoku by trained Japanese chefs is created with consideration for the environment, a simplicity which retains the nature of each component, and beautifully presented on a plate to celebrate it's natural beauty. 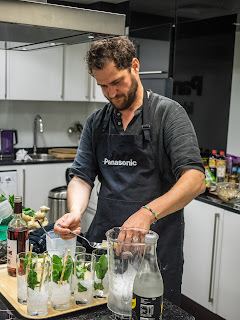 On a Washoku masterclass with TV cook, food writer, and now, Hepell Gin distiller, Valentine Warner, hosted by Panasonic in their test kitchen, we learnt just how simple it can be, and oh my, how delicious. Mr Warner spent some of his childhood in Japan (his dad was the British Ambassador there in the '70s) and returned many times to visit sake breweries and develop his own skills as a chef. Japanese chefs are super clean, sleek and graceful and their knife-skills are notoriously fast and meticulous. Valentine demonstrated three recipes, using three kitchen gadgets by Panasonic, which we got to taste and then recreate. Firstly, Crab Chawan Mushi, or savoury fish custard, steamed in a cup. Sorry, did you say savoury fish custard? Well, yes... it did sound odd, but tasted absolutely wonderful - like a good quiche but without the pastry. Gently beaten eggs, with dashi slowly poured in, then sake and Kikkoman soy sauce. This is then poured over the crab in it's dish, and topped with shiitake mushrooms. 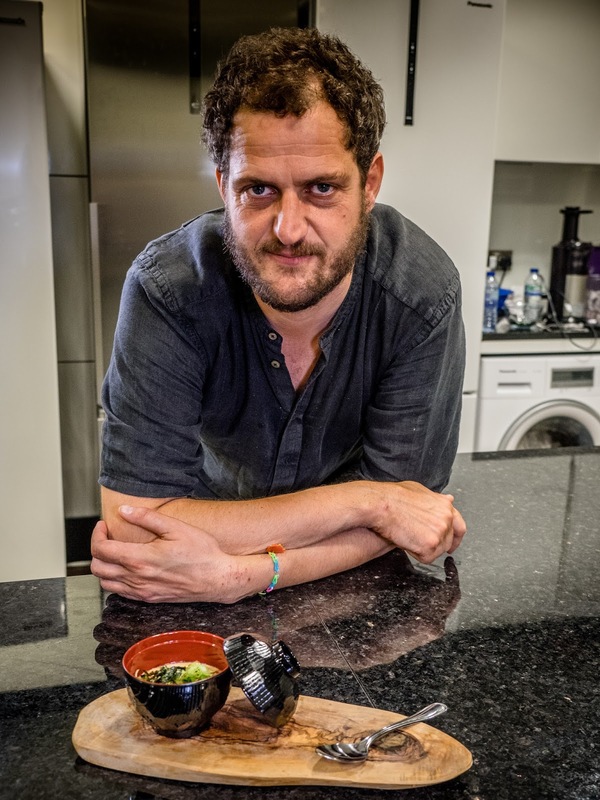 With some cling film over the top, the bowl is then steamed (in Panasonic's Steam Combination Microwave, obviously) for about 15 minutes until there is a slight wobble. Then scattered with spring onions, toasted black sesame seeds and Furikake seaweed seasoning. See? Simple! While the Chawan Mushi was steaming, we moved onto Mackerel Tataki. Mackerel is bang in season at the moment, and it's one of my favourite fish. Growing up in South West Kerry fresh mackerel was literally just off the boat in the summer months and little did I appreciate that luxury then. I loved it, just grilled. That's all. Fresh mackerel should be stiff, with a dark green back and iridescent shine. For this recipe, Valentine used the Panasonic Slow Juicer to remove all the pith and juice from a lemon. 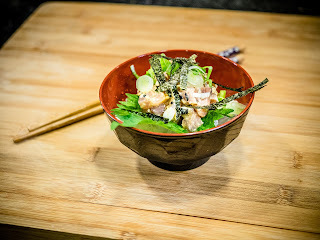 The fresh fish was then chopped very thinly into small cubes, and gently mixed with toasted sesame seeds, ginger, Dijon mustard, lemon juice, Kikkoman soy sauce and reduced mirin. The tataki was then presented in a bowl and garnished with spring onion and thinly sliced nori. This recipe can also be made with fresh salmon or fresh sustainable tuna. A few of us had a go at making this and although it wasn't quite as aesthetic, it still tasted utterly sublime. Lastly, but obviously my favourite, a Summer Umeshi Cocktail. 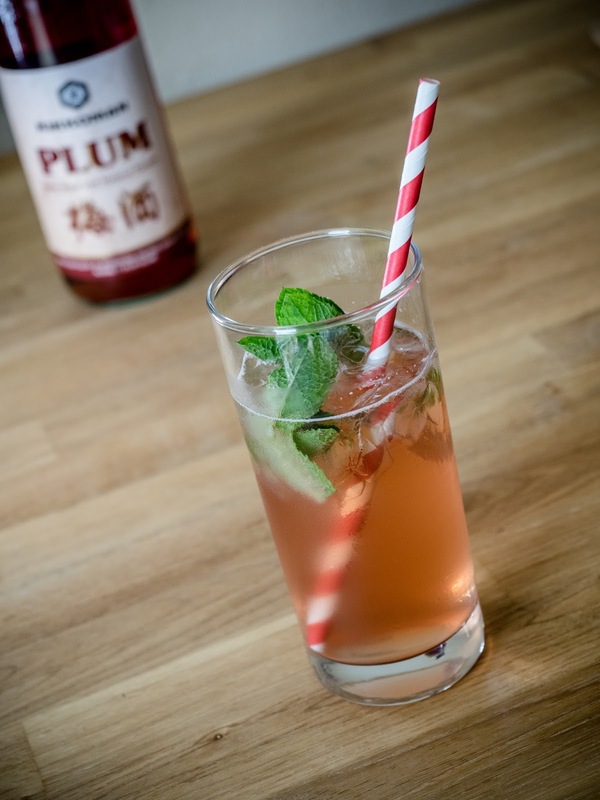 Deliciously refreshing, this drink is the perfect accompaniment to Japanese food. The sweet plum wine can be sourced in any Asian supermarket, and I've used it before as a dessert wine for a Thai meal. Really easy to make with aid of a Panasonic Blender to whizz up some ice cubes. See below for the recipe. Of course, all recipes are just a guide. Some of Valentine Warner's tips for cooking include using the best and freshest ingredients, and then experimenting and especially tasting your food - this is key to cooking Washoku for a healthy and balanced meal. Buy daily and fresh, instead of stock piling fresh ingredients. And don't keep opened sesame oil or soy sauce for more than a few months as they will lose their flavour. 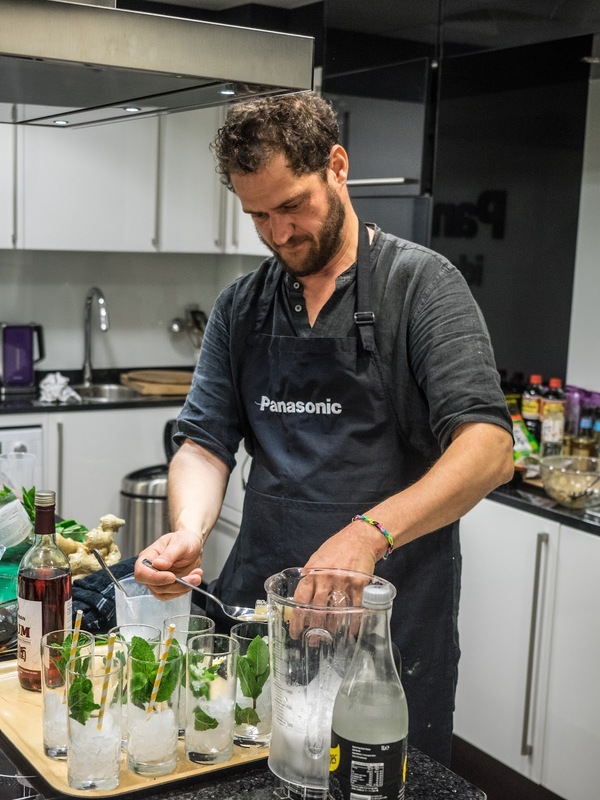 Huge thanks to the Panasonic team for hosting the masterclass, and to Popcorn PR for the invitation and the photos. Panasonic Slow Juicer MJ-L500 | RRP £199.99 | Available to buy now. Panasonic Steam Combination Microwave NN-CS894 | RRP £499.99 | Available to buy now. Panasonic Food Blender MX-ZX1800 | RRP £399.99 | Available to buy from August 2016.